The fate of the European Medicines Agency (EMA) has recently been in the news. Currently based in London, it has been abandoned by the UK Government. It seems a matter of certainty that the London base will be wound up and the Agency will have to move. Understandably, there has been some concern expressed about this development. One voice has been Dr Virginia Acha, employed by the Association of the British Pharmaceutical Industry (ABPI), as executive director for research. She claims that Britain outside the EMA could lead to patients waiting six to 12 months longer than the rest of Europe to receive newly developed medicines because the UK would be a small market rather than part of a large EU-wide one. She also says that a "quickie divorce Brexit" – where the UK leaves the EU overnight and simply deals with the consequences – is not feasible for medicines and patients. "This [idea] is not really an option for us. Patients are depending on us to have it right from day one", she declares. That is the more important concern – the continuity of the supply of medicines after Brexit, and indeed their continued availability to UK patients. The fate of the Agency, although of considerable consequence – especially in terms of jobs and influence – is a side issue, the least of our concerns in this sector. The crucial point about medicines for human use is that their manufacturing, distribution and sale is currently an EU competence, and heavily regulated by a considerable number of legal instruments, many of great length and complexity. Even with the best will in the world, full separation from the EU, and restoration of independent control over medicines is not going to be easy, although there are elements that could make returning UK control easier than in some other sectors. In this short piece, though – continuing a theme introduced in several earlier posts – we look at the post-Brexit supply of medicines in the context of the UK Brexit strategy which is largely reliant in the short- to medium-term on the Great Repeal Bill, repatriating EU law and applying it as UK law. The idea generally is that we can simply pluck EU law out of its context and re-apply it with a UK label but, as we saw with fishing and other sectors, this may not be as straightforward as is imagined. What makes the medicines sector especially difficulty though is that we are dealing with a hybrid - a complex of EU Directives, which have been transposed into UK law, linked with multiple EU Regulations, parts of which have been absorbed into UK law but with the bulk having "direct effect" without having been transposed into UK law. As a generality, EU law which comes to us in the form of Directives (and indeed in other forms) and which is transposed or otherwise incorporated into UK law, will remain in force after Brexit, despite the repeal of the European Communities Act. Thus, although the main EU instrument regulating medicines is Directive 2001/83/EC (amended 12 times), this is enacted in UK law as The Human Medicines Regulations 2012. These will still be valid after Brexit. Inevitably, though, life is never that simple. The main directive (together with others) is linked to and works with a raft of EU regulations. The key instrument is Regulation (EC) No 726/2004 "laying down Community procedures for the authorisation and supervision of medicinal products for human and veterinary use and establishing a European Medicines Agency". This has not been transposed into UK law and stands alongside The Human Medicines Regulations 2012 – an instrument which makes no less than 65 references to the EU Regulation. As a Regulation, with direct effect, it would cease to apply on Brexit, but for the Great Repeal Bill. Its aim is to re-enact laws such as these so that, according to Mrs May in her 17 January speech: "The same rules and laws will apply on the day after Brexit as they did before". That seems fair enough except when we come to Section 46 of The Human Medicines Regulations 2012, which states: "A person may not sell or supply, or offer to sell or supply, a medicinal product otherwise than in accordance with the terms of— (a) a marketing authorisation…". When we then refer to Article 2 of Regulation 726/2004, we find this stating that: "The holder of a marketing authorisation for medicinal products covered by this Regulation must be established in the Community". What emerges as the problem here is that the UK will no longer be "established in the Community". By adopting the Regulation under the Great Repeal Bill (once it becomes an Act), the Government – unwittingly – would prohibit medicines for which authorisation was held by UK companies from being marketed in the UK. There would, of course, be no problem with a work-around. The Government could include a simple clause in the Repeal Bill with respect to human (and veterinary) medicines that any products properly authorised prior to the date of Brexit could continue to be marketed until such time as they became subject to new UK legislation. The point though, is that is just one potential trap in the legislation, where the UK Regulations have 383 reference to "marketing authorisation" and exist to implement the EU system. One might say that you can take the UK out of the EU, but it is not so simple taking the EU out of the UK. Excluding the Directives which have been transposed into UK law, the relevant regulations, including Regulation 726/2004, run to 233 pages. Each of these will have to be carefully checked, to identify potential traps. Remedies must be devised, and incorporated into UK law – either within the Repeal Bill or in separate instruments. Even then, with such devices, medicines can be kept on the UK market, but our Government will have no jurisdiction over the EU. It cannot change, or require the EU to change, the definition in Regulation 726/2004 which requires the holder of a marketing authorisation to be established in the Community. On the face of it, post-Brexit - when the UK is longer in the Community – the UK holder of a market authorisation will not be able to export products to what remains of the EU. That would put at risk a trade worth in excess of £20 billion – in a sector where we are in surplus – and put about 60,000 jobs at risk (including the multiplier effect). What would be a disaster scenario could, nevertheless, be simply avoided. We have, to date, complete regulatory convergence and the current system also includes provisions for mutual recognition. By remaining in the EEA (as this is an EEA-wide system), or by seeking a negotiated settlement, where UK approvals (and UK-led Community authorisations) would be recognised, EU trade could continue without penalty. However, should Madam May go walkabout, all bets are off. If the UK unilaterally broke off the negotiations and walked away from the table, it would leave the necessary amendments hanging. Without a mutual recognition agreement or some other device, the EU would be within its rights to refuse any products relying on UK authorisations. Perversely, EU products would remain authorised for sale in the UK. To restore trade in the absence of any settlement, UK companies could have to work though businesses established in the EU – either subsidiaries or agents – and could be required to resubmit their products for authorisation, at considerable cost and with years of delay. Application fees payable to the EMA currently start at €278,800 per product. 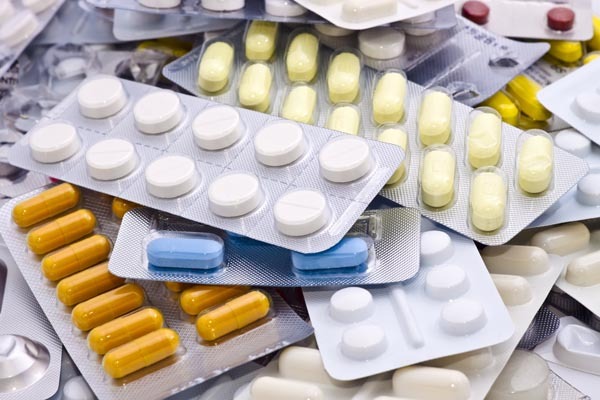 It is extremely difficult to work out how many medicines would need re-authorisation – especially in view of the multi-national nature of the industry. But from these data and other sources, the number could be anything from 1,000 to 2,500, potentially bringing the bill to as much as €750 million. Loss of sales would amount for much more. Putting all this in perspective, the problems explored are not a necessary consequence of Brexit. With a modicum of care and a sensible approach to negotiations, there is no reasons why trade in medicinal products should be significantly interrupted, although there will be unavoidable disturbance arising from the relocation of the EMA. Whether the necessary agreements and adjustments to legislation (including EU legislation) can be achieved in two years is an unanswered question, especially in the context of all our trading arrangements, across the board, having to be resolved simultaneously. Obviously, continuation of the EEA Agreement would substantially reduce the burden. Whatever stratagem adopted though, it is increasingly evident that the Great Repeal Bill is not an easy option, and is unlikely to yield rapid results. On the other hand, the "walk away" stratagem is not in any way credible. To just the pharmaceutical industry, the damage would be enormous. Cumulatively, over time, costs to UK industries might run to hundreds of billions. Furthermore, if this blog can produce an assessment of the consequences of a "walk away" stratagem, better resourced European Union negotiators will be able to make their own calculations, against which they would doubtless gauge their response to a UK threat. And if it is not a credible stratagem, it is not a credible threat. To get the best deal, for which Mrs May says she is aiming, the UK Government needs to be committed to a "smart" Brexit, which rules out superficially attractive, populist action, the overall effect of which would be to precipitate a major economic crisis.